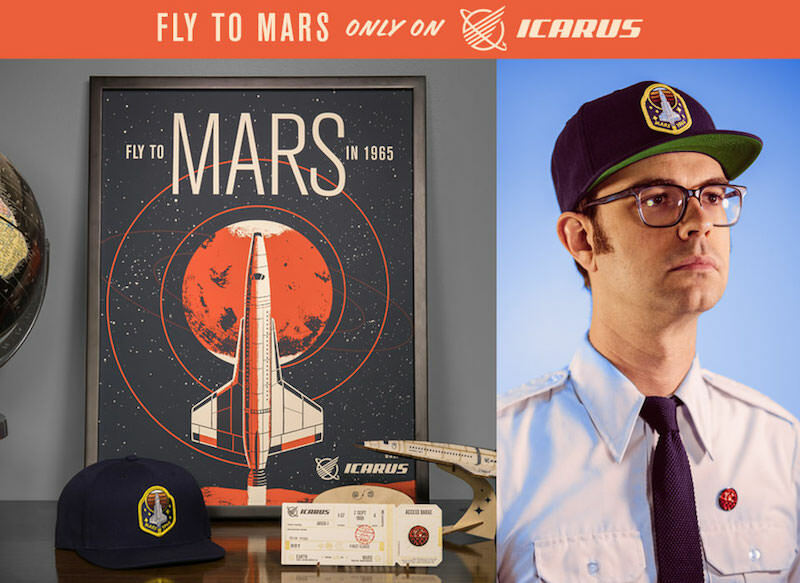 Familytree has a box of incredible space travel inspired goodies available in their shop. 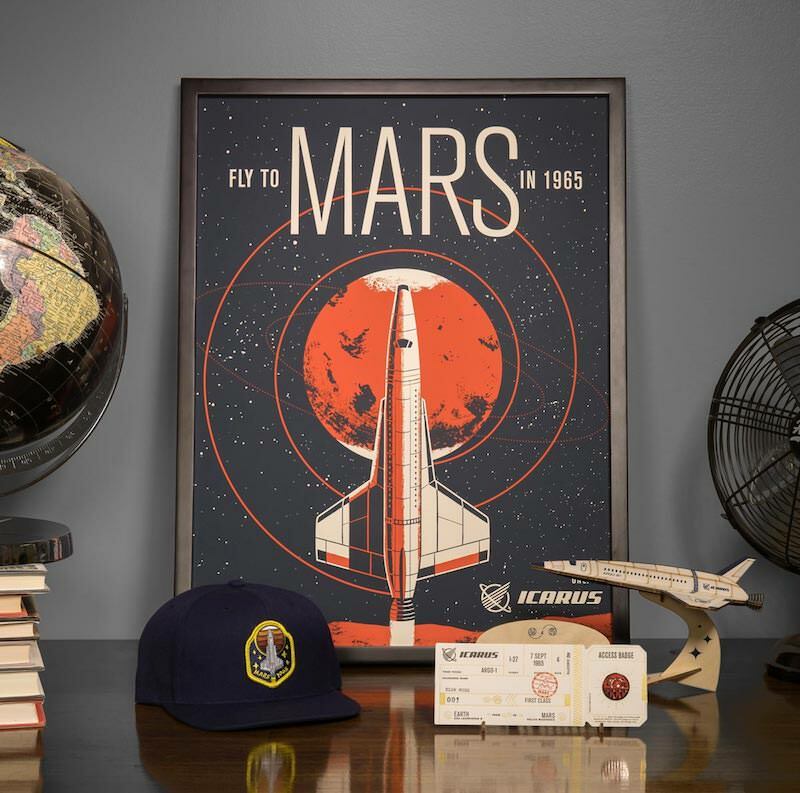 The Icarus Mars Box Set includes a customized numbered letterpressed gold foil ticket, an 18″ x 24″ screen printed Mars travel poster, a wooden model rocket of the Argo-01, a wooden ticket stand, a baseball cap with embroidered mission patch, 1″ hard enamel lapel pin / access badge, with it all housed in a custom commemorative box. Each box set costs $80. Visit FamilytreeDesign.net.